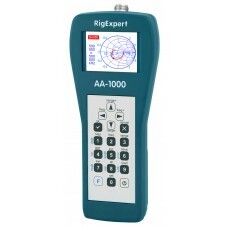 RigExpert AA-600, AA-1000 and AA-1400 are powerful antenna analyzers designed for testing, checking,.. This AA-100 Antenna Analyzer was a Demo unit at several shows. Looks like new and comes with all man..